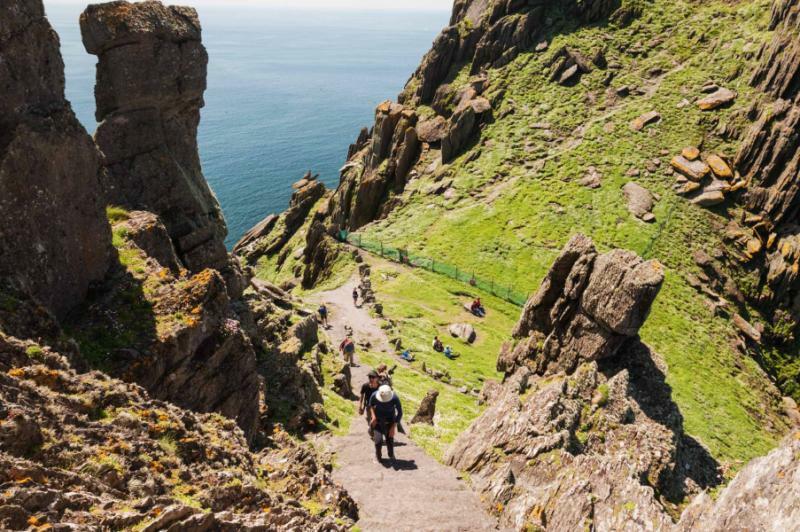 Inspired by the upcoming Star Wars film, the eighth episode in the legendary series, embark on an extraordinary journey following in the footsteps of the last Jedis, Luke and Rey. 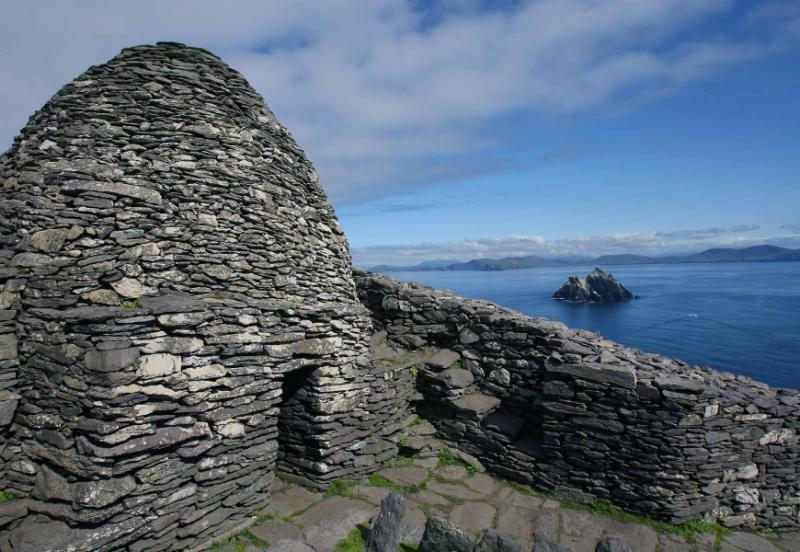 Discover how ancient Irish settlements inspired the magnificent scenery of the remote hideaway planet of the first Jedi temple. Relish Irish storytelling traditions when meeting locals who witnessed how their hometowns in Ireland were converted into filming sets. Experience an awakening in grandeur, highlighting natural landscapes that transform the Land of the Green Isles into a galaxy far away. Did you know that Star Wars also had extensive filming in other countries such as Croatia and Bolivia? Consider exploring the other charming filming locations that inspired film directors to create new worlds on our Star Wars Inspired Tour of Croatia. 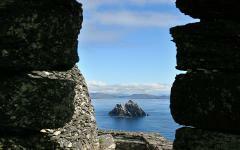 Note: Zicasso’s Star Wars-Inspired itineraries are not affiliated with, sponsored or endorsed by, The Walt Disney Company or Lucasfilm Ltd.
Unite with the rebels against the forces of the empire during your 8-day Ireland tour that is inspired by the latest release in the legendary Star Wars series, Star Wars Episode VIII: The Last Jedi, for a journey filled with adventure and enlightenment into the depths of the island’s natural beauty paired with remarkable filming locations. The epic release of the newest movie of the legendary series blends reality with fantastical scenery immersing you in a galaxy far away before transporting you to a celebratory ambiance of the film crew during the wrap party. 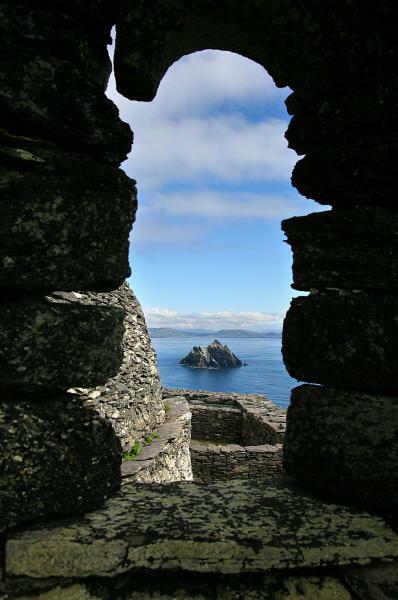 From the hall of the great archives in Episode II to the enchanting plunge of sandstone walls at the Cliffs of Moher, you will delight in the mixture of luxury, high sci-fi discovery, and legendary storytelling becoming of the galactic civil war and the heritage of Ireland. Your journey begins at Shannon Airport, where your private transfer greets you upon your arrival. 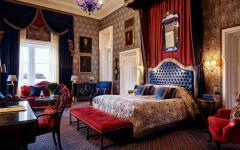 Relish the tranquil setting of Killarney with time boating around the three lakes, passing through the Gap of Dunloe, and spending the night in the secret hotel the cast and crew stayed at during their time filming. 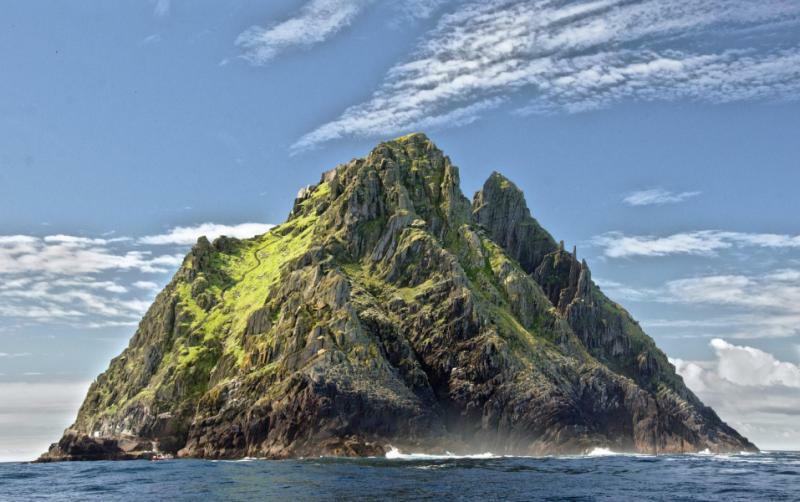 Travel around the Ring of Kerry and venture over the splashing Northern Atlantic waters to reach the secluded island of Skellig Michael, where Rey unites with Luke at the end of previous film. 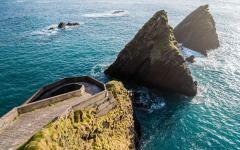 Travel the remarkable road wandering along the Wild Atlantic Way leading to the spectacular Cliffs of Moher and the unique contours of the Burren. 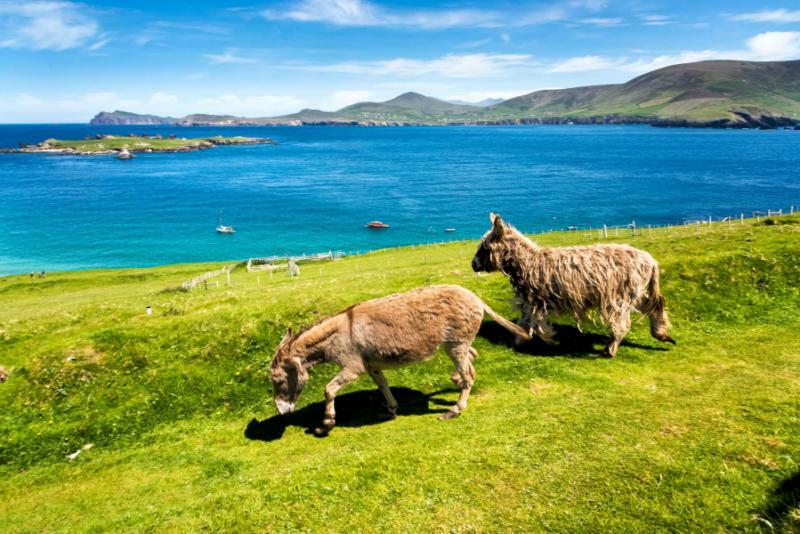 Take your time wandering through Galway City and enjoy the cinematic history of Connemara Peninsula, which includes the charms of Kylemore Abbey. 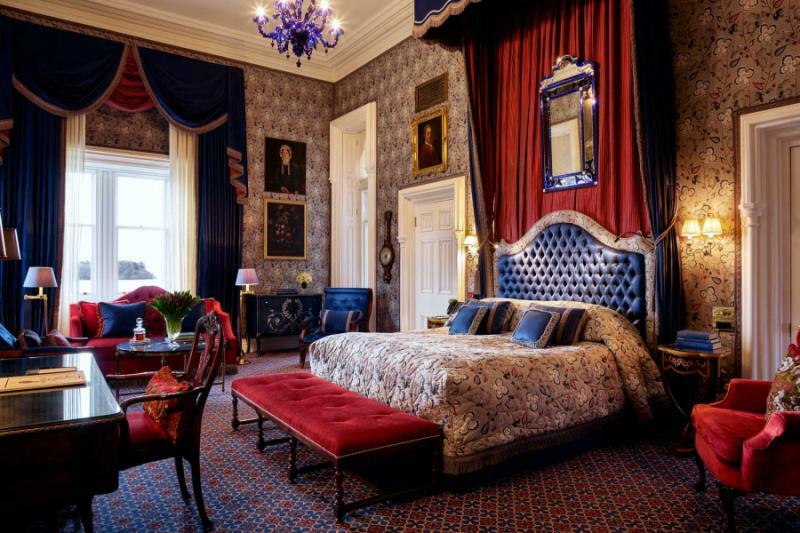 Bask in the traditions of storytelling by visiting the home of W.B. 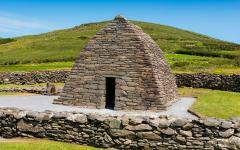 Yeats in Sligo and traverse Neolithic passage tombs. Gain insight into the action behind the scenes of the filming at Lough Eske Castle over a pint, including the ways in which Northern Donegal turned into a site similar to a secret military complex during filming. 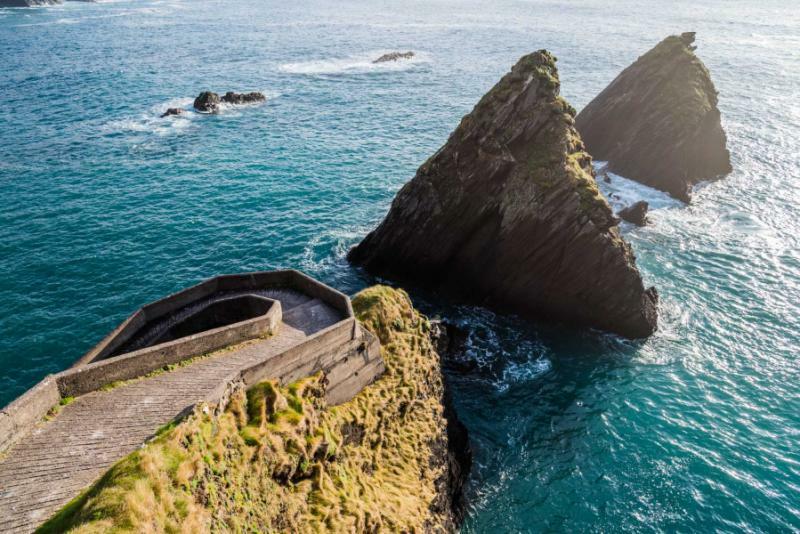 The parallels between the sci-fi universe and Ireland move beyond the filming locations for a palpable connection showcased in the history, myths, and scenery before you board your flight home at Dublin Airport. 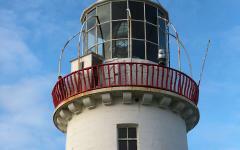 If interested in extending your Ireland tour, consider reading some of our travelers’ top Ireland reviews. The city of Killarney and the greater region of County Kerry embody the beauty of Ireland’s picturesque landscapes at the westerly fringe of the Emerald Isle. The scent of fresh grass emanates from the lush hills and blends with the subtle aroma of sizzling sausages drifting out of the pubs. Woodlands spread across the steep foothills of the peaks. The dramatic scenery continues to inspire the variety of landscapes that have produced majestic tales from the series’ universe; follow the footsteps of the filming cast and crew for an otherworldly adventure of a lifetime. Your private transfer greets you at Shannon Airport upon your arrival and escorts you south to the comforts of the famous eastern city. 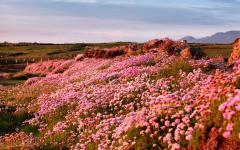 The remainder of the day is yours to enjoy the luxuries of your hotel or explore the surrounding beauty at your leisure. Killarney National Park offers a mixture of rugged and pristine splendors for which Ireland is known and encompasses nearly 25,500 acres. Red deer forage in the oak trees. The scent of damp wood drifts through the native forest. You can venture to Lough Leane, a lake approximately 4,700 acres in size, the largest of the Killarney’s bodies of water. Sandstone and limestone rocks pave the banks of the eastern shore along the lake, offering viewpoints of the 30 islands rising out from the waterway. You sit perfectly still at the edge of the lake and take in the tranquility of the forest, hoping to hear the quiet rustle of a red deer treading lightly to the lakeshore for a sip of water. At breakfast, you find the subtle aroma of black Irish tea offering an herbaceous accompaniment to the scintillating scent of fried bacon and sizzling sausages, each a celebrated component to a full traditional Irish breakfast. 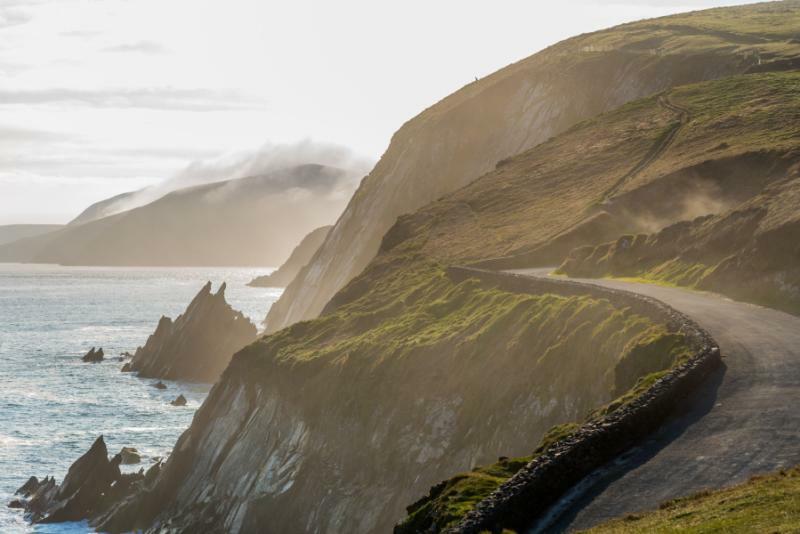 Your guide greets you in the lobby after the meal and escorts you to the Ring of Kerry, a famous route around Southwestern Ireland traveling in a loop over 110 miles long to connect a selection of towns including Beaufort, Killorglin, and Kenmare. You venture to the marina in Portmagee. The main street contains a row of houses painted with rainbow hues. The harbor brims with activity in the morning with fishermen returning from the ocean and small boats ferrying visitors to the Skellig Islands. You board a boat bound for Skellig Michael, cruising over the choppy Atlantic waters. The briny scent of the ocean grows stronger in the breeze. You recognize the island as the secluded planet on which the previous film ended. The jagged rocky summit reaches a height of more than 700 feet above sea level. 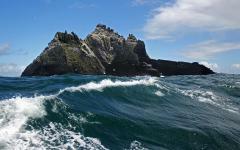 Puffins nest in the craggy niches spread across the precipitous cliffs. 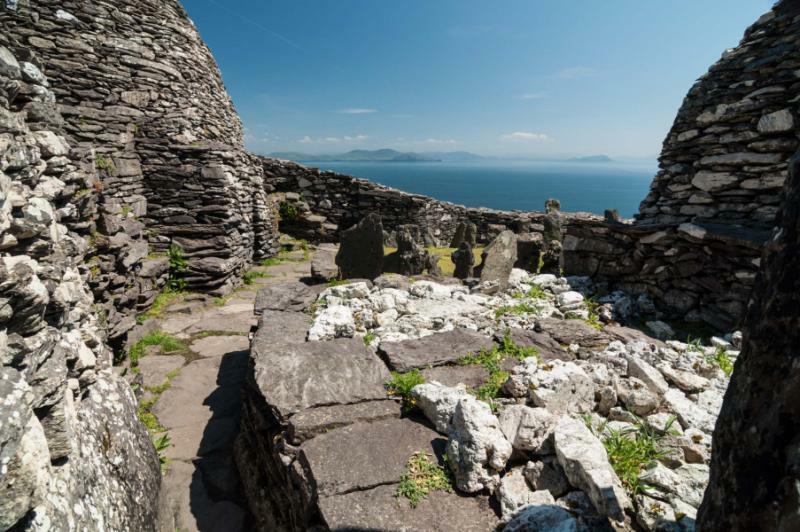 Gaelic Christian monks started a monastery on the island between the 6th and 8th centuries AD, occupying the sparse landscape until the late 12th century. The sparse signs of inhabitation lend credence to being Luke’s secluded hideaway, removing himself far from the battles of the galaxy. 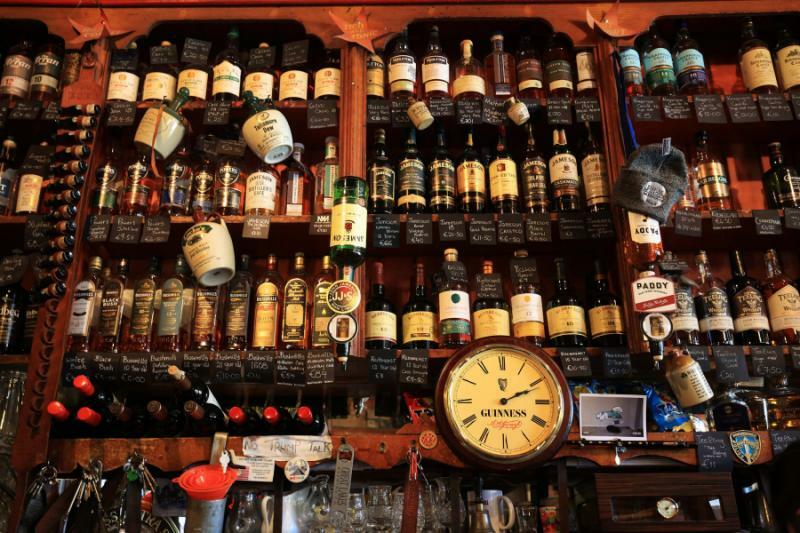 After returning to Killarney, you enjoy the welcoming ambiance of the local pub as the owner regales you with a selection of stories from the time the cast and crew stayed during filming. The owner of the pub even lets you venture behind the bar and pull a pint from the same tap Mark Hamill used during the wrap party. 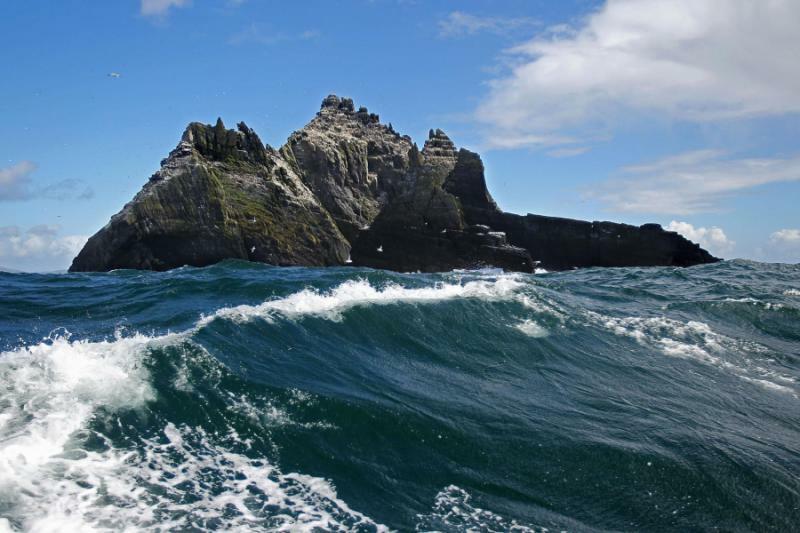 Optional: For travelers who are looking for the ultimate director’s point of view, consider a premium twin engine helicopter tour that begins with Skellig Michael and ventures to Dingle, where additional filming took place, and then to Loop Head. Continue onto Galway or Ashford Castle via The Cliffs of Moher and the Aran Islands. Selecting this option allows the travelers to mitigate travel time associated with traveling on land. The morning fills with the herbaceous scent of black tea and the rich scent of butter melting on a frying pan. The colorful buildings at the center of the city open their doors to charming cobblestone streets and narrow lanes filling with foot traffic and cars moving at a leisurely pace. 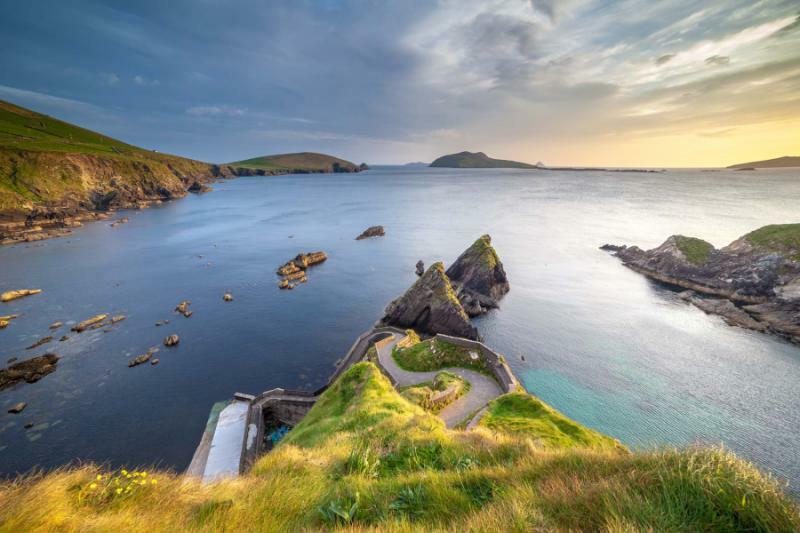 You travel with your private guide along a portion of the Wild Atlantic Way, a stretch of Irish coastline spanning more than 1,500 miles and over nine counties. 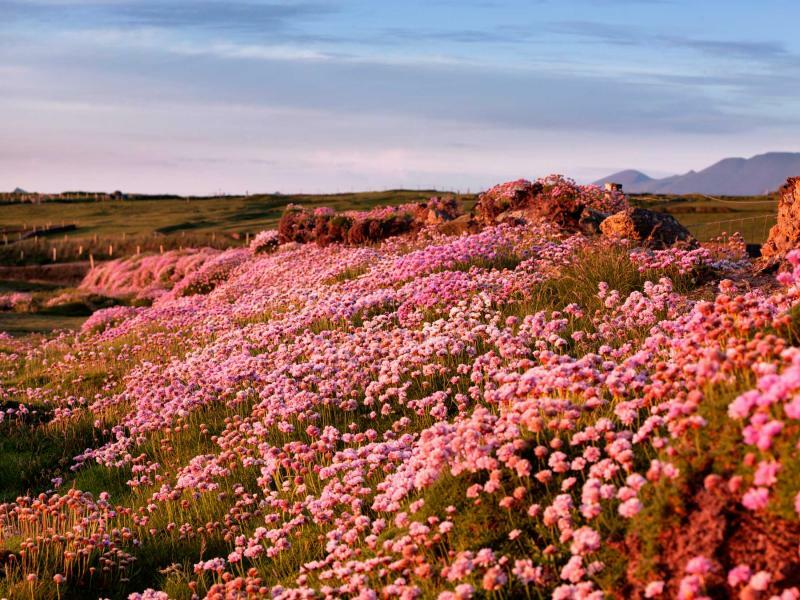 The scenic drive leads you first to the Burren, a stunning display of rocky and windswept landscape spreading across northern County Clare. The striated gray limestone contains unique shapes molded by ancient seas and spanning nearly 100 square miles. 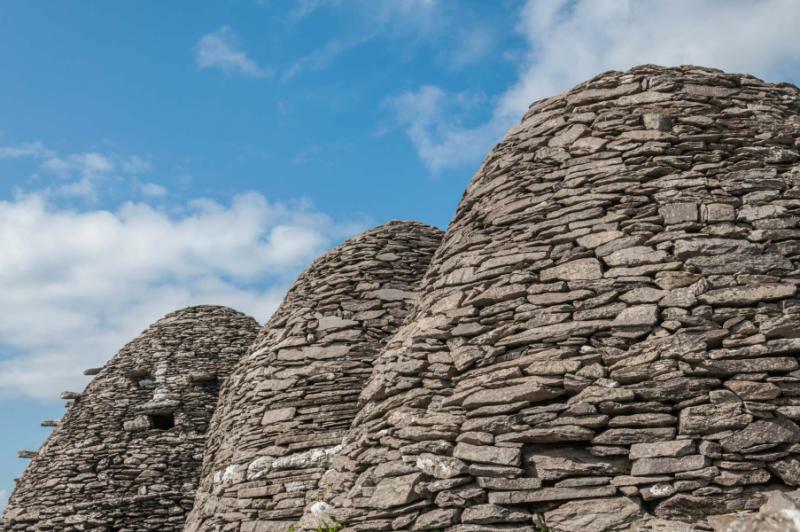 The scenery reminds you of a lunar landscape, offering another rich connection between Ireland and the fascinating planets in the cinematic universe. You visit a portal tomb known as Poulnabrone Dolmen, one of Ireland’s most photographed monuments, which was erected over 5,000 years ago. The large slab perch on upright stones makes an otherworldly impression as it stands against a rocky pavement weighing over five tons. Archaeologists have discovered the remains of 21 ancient peoples, pottery, and jewelry dating back to 3,800 BC during a 1986 excavation of the general area. You continue to the famous Cliffs of Moher, located on the western edge of Ireland’s mid-west counties of Clare and Limerick. The stunning precipices plunge over 700 feet into the wild steely blue waters of the Atlantic. The winds have carved away the harsh edges of the cliffs to create smooth striations and distinctive contours along the shale and sandstone. 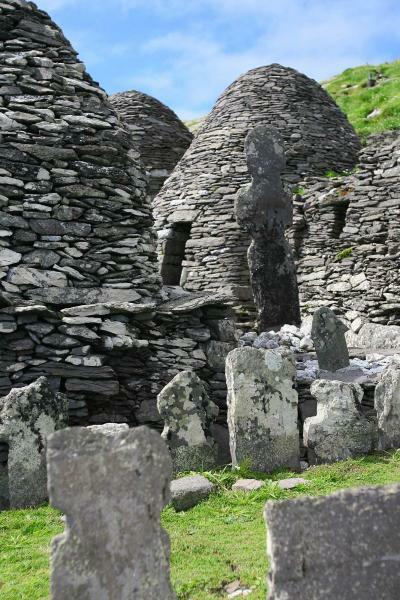 You find puffins nesting once more in the natural niches carved into the crags. The rocks at the bottom of the cliffs date back more than 300 million years. 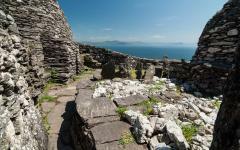 You bask in the panoramic views spreading from the Aran Islands to the hills of Connemara. A true galaxy knight connects with nature, understanding the importance of balance in the world. 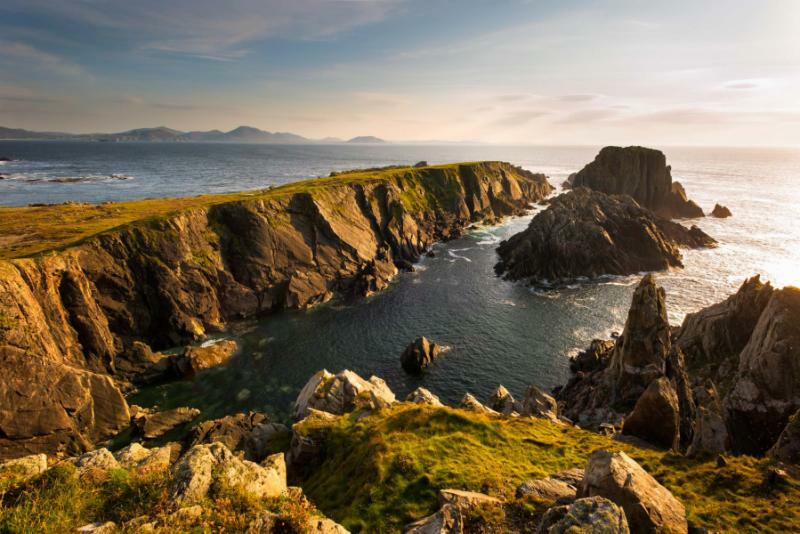 After breakfast, your private transfer escorts you around the Connemara Peninsula to explore the rugged landscape, captivating beaches, and isolated valleys that resemble planets from a galaxy far away. The Twelve Bens mountain range towers over the landscape with peaks reaching nearly 2,400 feet above sea level. The waters of Lough Inagh shimmer with inky blue hues against the forested shores. 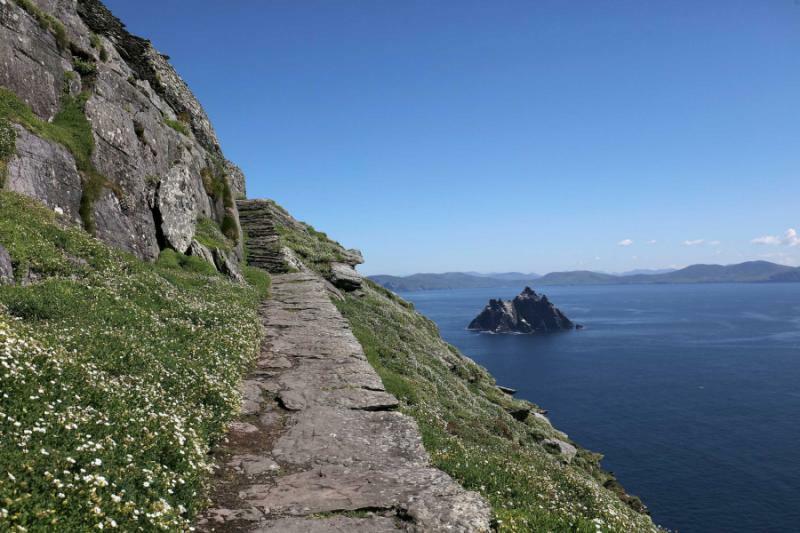 Although the region did not support any of the scenes from the new film, you can’t help but find similarities between the beautiful worlds created specifically for the sci-fi universe and the natural splendor of the Connemara Peninsula. 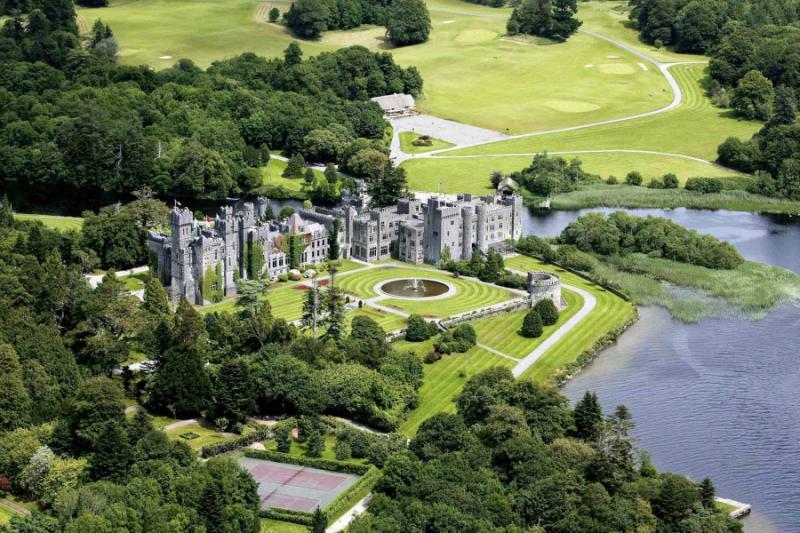 Your connection to the awe-inspiring grows when you visit the oldest established falconry school in Ireland, located on the grounds of Ashford Castle. The medieval complex was first erected in the 13th century as the Anglo-Norma House of Burke. In the 19th century, a new owner erected two large Victorian extensions on the 26,000-acre property, along with building two new roads and planting thousands of trees. Your falconer guide leads you along the trails around the grounds with a private tour allowing you time to connect with the hawk. You put the iconic glove onto your dominant hand and learn the basic commands to guide your falconry efforts. The hawk ascends into the sky, circling over the gardens and woodlands of Ashford Castle. You push against the heavy weight and coarseness of the glove as the hawk descends, swooping down from the trees and landing on your arm. In the morning, you make your way with your private transfer towards the town of Sligo. The pedestrian streets contain inviting shopfronts along the edge of the Garavogue River. Stone bridges arch over the rushing waters. The aroma of hops and sizzling sausages emanate from the quiet pubs contrasting the elegant art galleries. A statue of WB Yeats with broken glasses stands in front of the 19th-century Ulster Bank. 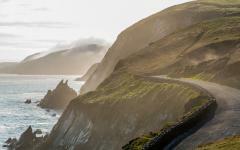 You reach Slieve League, cliffs reaching nearly 2,000 feet above sea level with the Atlantic Ocean waves crashing against the rocks. 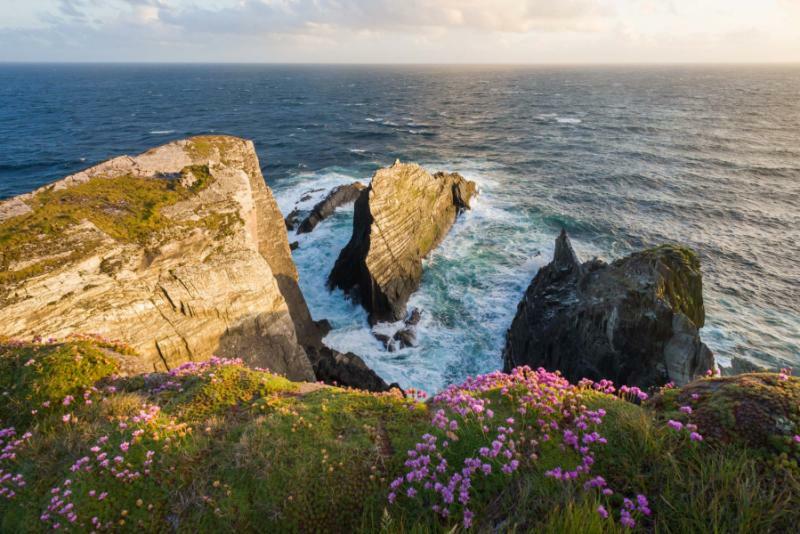 A guided walk leads you around the spirited geography and local wildlife located three times the height of the Cliffs of Moher in County Clare. Signal Tower stands over the cliffs with a grand view over the water. 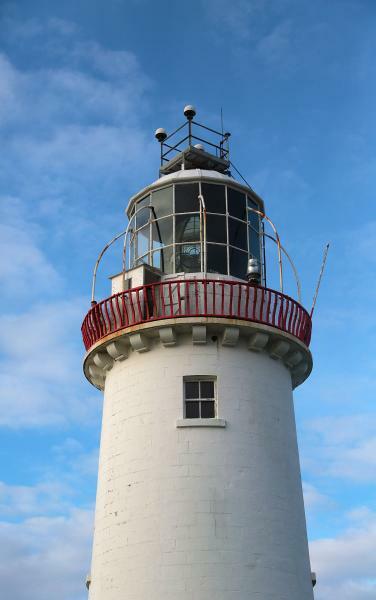 The 19th century tower was erected to watch over the shoreline in case of French invasion. The breeze carries the scent of brine as it sweeps over the windswept landscape. 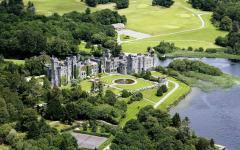 Continue to the shores of Lough Eske, which encompasses 900 acres of cobalt water surrounded by verdant hills to reach a castle. 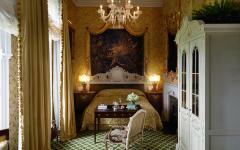 The luxurious grounds span nearly 45 acres of forest woodland and the Blue Stack Mountains. The castle is also rumored to have housed the cast and crew during filming. 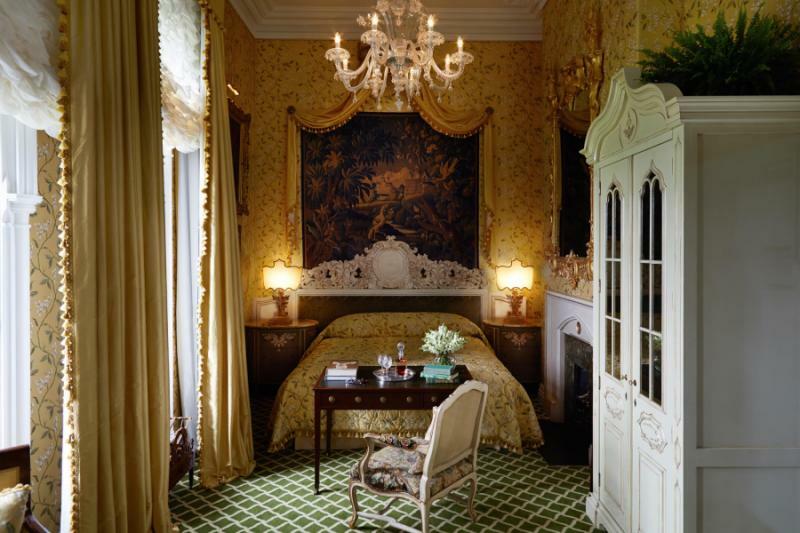 While visiting the opulent hotel, you can listen to the stories, retrace the possible footsteps of the cast, and decide whether the rumors are true. Optional: For travelers who are looking for the ultimate director’s point of view, consider a helicopter tour that turns a long day of driving into a whirlwind tour. This option can give guests who do not have the time to spend 7 nights accomplish the 7 night trip in 5 nights. 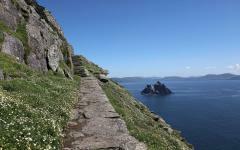 Guests doing the helicopter tour for both Kerry and Donegal could consolidate the trip into 4 nights. 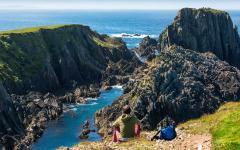 The town of Donegal stands on a photogenic bay nestled between the lapping waters of the Atlantic and the Blue Stack Mountains. The white stone of the 19th-century castle peeks above the trees at the head of the nearly 41,000 acres of mountains, lakes, glens, and woods rolling across the landscape. 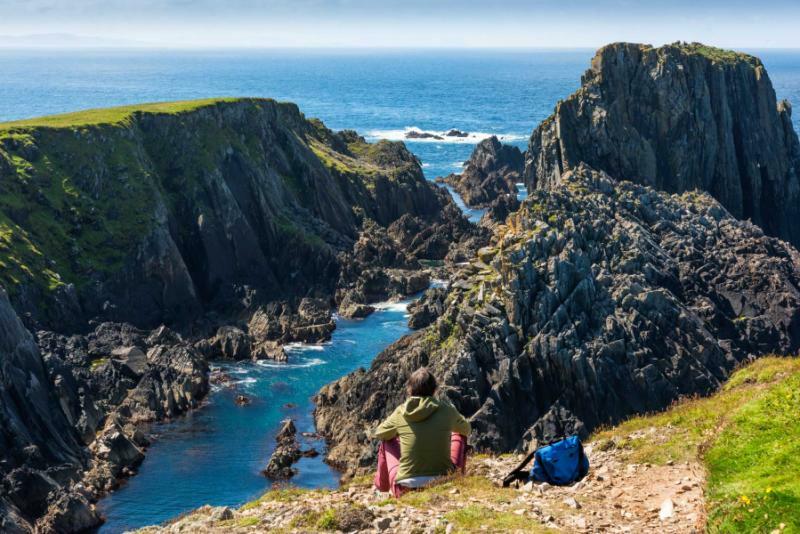 After breakfast, your guide leads you to the rugged scenery of Malin Head, the northernmost point of the Inishowen Peninsula and the Wild Atlantic Way. 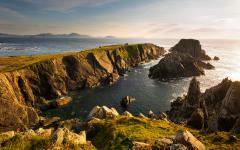 You enter the area along the western tip at Banba’s Crown in Malin Head. A tower erected in the 19th century as a string of structures rounding the coast decorates the shoreline recalling the threat of French Invasion during the reign of Napoleon. The 83 coastal lookout posts recall the looming threat of German troops during World War II. Turbulent waters crash against the rocky base of the cliffs and coastline. Dolphins play in the inky-blue waters near the shoreline. 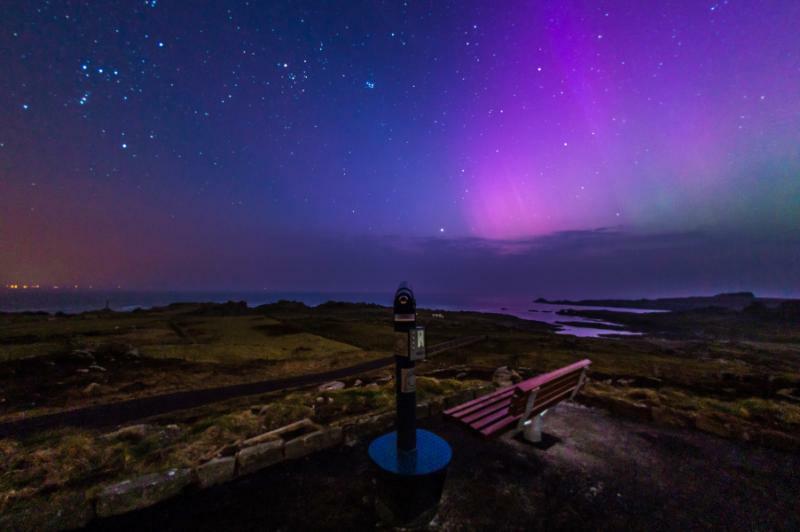 On a clear day, the panoramic views from Ireland’s northern edge looks over Inishtrahull Island, which contains the oldest rocks on the Emerald Isle dated at over 1.7 billion years old, and continues east to the hills of Scotland. The isolated location has a captivating ambiance recalling the preferred seclusion of Luke during the previous installation. 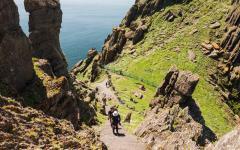 Your guide offers stories from the filming of the new film, including the way in which the county turned into an impassible fortress during filming to ensure that no leaks occurred amongst the cast, crew, and local observers. 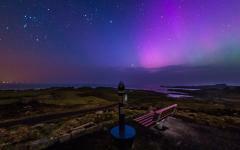 A clear evening brings the dancing lights of the Aurora Borealis. The sporadic movement resembles the enchanting glow of cosmic sabers clashing in the sky. In the morning, low tide along the coast reveals caves at the south end of Maghera Strand. Your private transfer escorts you across the stunning landscape of Ireland en route to Dublin. You stop at the historical site of Newgrange in County Meath. 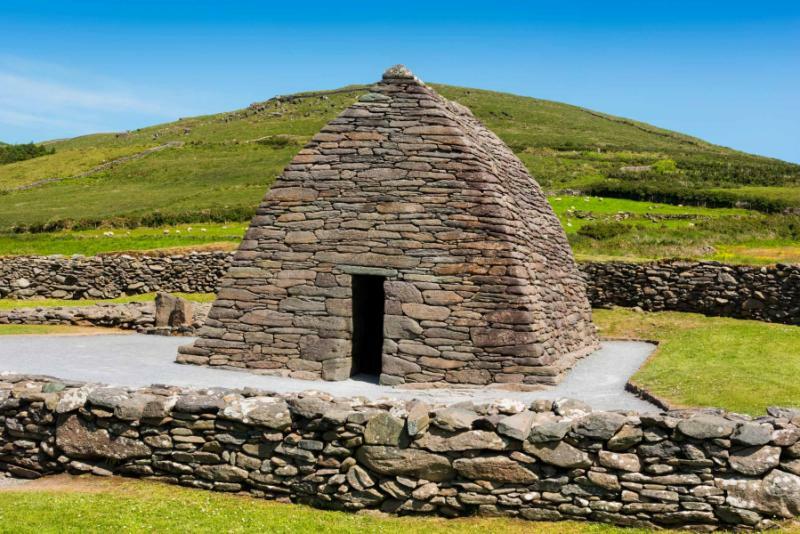 The remarkable historic complex was erected during the Neolithic period around 3,200 BC. 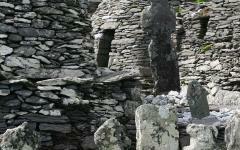 The structure is older than Stonehenge in England and the pyramids of Egypt. The singular circular mound contains an inner stone passageway and chambers. Archaeologists uncovered human bones, votive offerings, and grave goods, including discovering megalithic art amidst the whit quarts cobblestones of the retaining wall. The sensational mound resembles the contours of the mothership in its large circular design. Your guide leads you along the outer walls that highlight the engravings etched into the stone. The entrance contains remarkable double and triple spirals with slits over the roof to let in light. 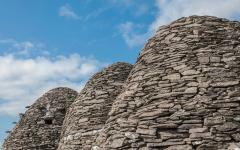 Over 96 boulders support the structure with 11 containing artistic motifs similar to the stone at the entrance. The architects transferred more than 200,000 tons of stone and earth over 40 miles to produce the dramatic edifice. The main passageway leads more than 60 feet into the central chamber, which contains three recesses once harboring cremated human bones. 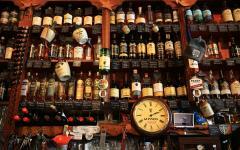 Dublin contains layers of history connected to both Irish heritage and the masters of a distant galaxy. While the prestigious architecture of the 16th-century Trinity College Dublin reflects bucolic ambiance through cobbled squares and Georgian design, the Long Room reflects the archives featured in previous seasons. The barrel-vaulted ceiling and double height book stacks run a length of nearly 215 feet. Visitors can find 200,000 of the library’s oldest volumes on display, which include an 11th-century account of the Battle at Clontarf. Your private transfer greets you at the hotel after breakfast and escorts you to Dublin Airport for your flight, bringing an end to your Star Wars-inspired tour of Ireland with a journey across the sky bringing you home. "All throughout our trip, we felt their support, we never felt alone, or lost." "These travel agents were great."